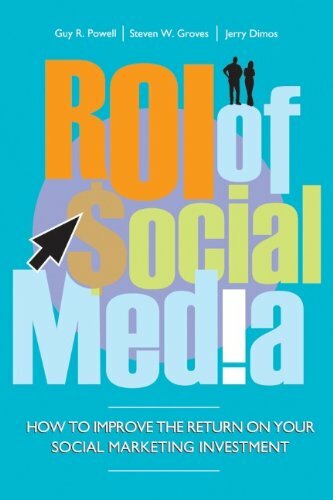 If you're looking for an additional resource on this topic, consider the newly released book ROI of Social Media By Guy R. Powell, Steven W. Groves and Jerry Dimos. We have a free copy of the book to give away to a reader who correctly answers the following trivia question and comments with the answer below or tweets it to us @MeasureUpIIR. A winner will be chosen randomly from all correct answers. What are the three takeaways Lise Brende, Director of Marketing Analytics, Bing & MSN will be discussing in her Keynote presentation on 360 Marketing Accountability? Comment below with your answer and an email address we can reach you at if you win.